Today, Henrike Diers is a Director in Supply Chain Management for Mobility and is a member of the Management Team in the UK. But her Siemens journey began in Berlin Schaltwerk, where she worked as an intern while earning her degree in Industrial Engineering and Management. One of the experiences that she still seeks inspiration from today was the Siemens Graduate Program (SGP), which saw Henrike work in Lisbon, Portugal, and Johannesburg, South Africa. “I was ambitious to go to different countries and understand different cultures and branches of our company,” she says. “Usually, participants in the program are placed back in the office where you started the program, but luckily my Portuguese placement offered me the opportunity to come back into its supply chain management, which was my first experience as a leader,” Henrike says. Her husband joined her in Portugal shortly after. “It is great to have your partner with you on a delegation,” she says. But when the couple returned to Germany following the birth of their first son, Henrike was surprised by the effect of reverse culture shock. Everyone expects that they will need to get acclimatized to a new cultural environment, but they might feel surprised at the contrast they encounter when they return. “In Hamburg, where the culture is far more distanced, reverse culture shock hit us when we eventually returned to Germany,” she says, who considered her Portuguese colleagues as part of her family — over 150 of them are still connected via a private Facebook group despite the factory where they all worked closing in 2014. After a year in Portugal, following the SGP, Henrike applied internally for a new role in Hamburg in the wind power industry. “This branch is young, international, and surrounded by a growth atmosphere. There was a lot to build and a lot to change. In some locations, we had a hundred new applicants every month,” she comments. Henrike doesn’t hold back in the face of new challenges. She received honors in her MBA in 2016 and completed her thesis while expecting her second son. 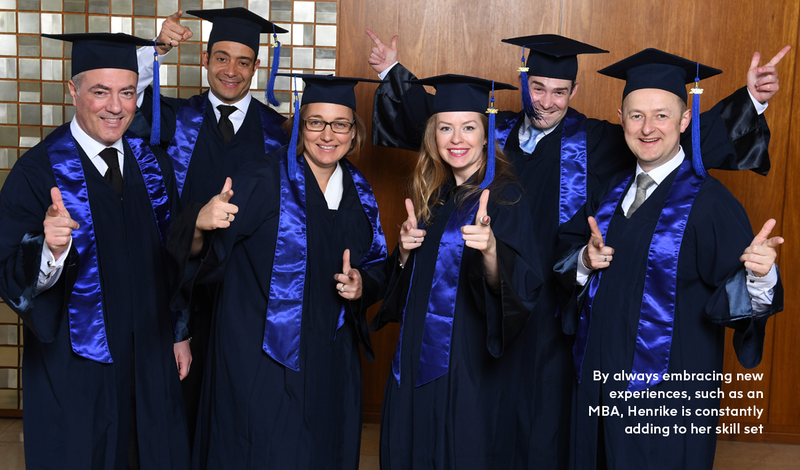 “It was gratifying and I learnt a lot from the other participants in my MBA program,” she remembers, “I finished my degree within the top 10% of the class, which was a great accomplishment for me. New challenges awaited her shortly after — this time across the English Channel. “A new cultural acclimatization process was to be embraced in the UK,” says Henrike, whose curious nature enabled her to embrace the opportunity to experience a new diversity. Looking over her career, she says that more role models are needed. Furthermore, she wants to be an example that working mothers, with perseverance and effort, can find fulfilment and meaning in both their professional and personal lives. “We need to create opportunities to harness career development across different divisions, countries, and organizations,” she says. 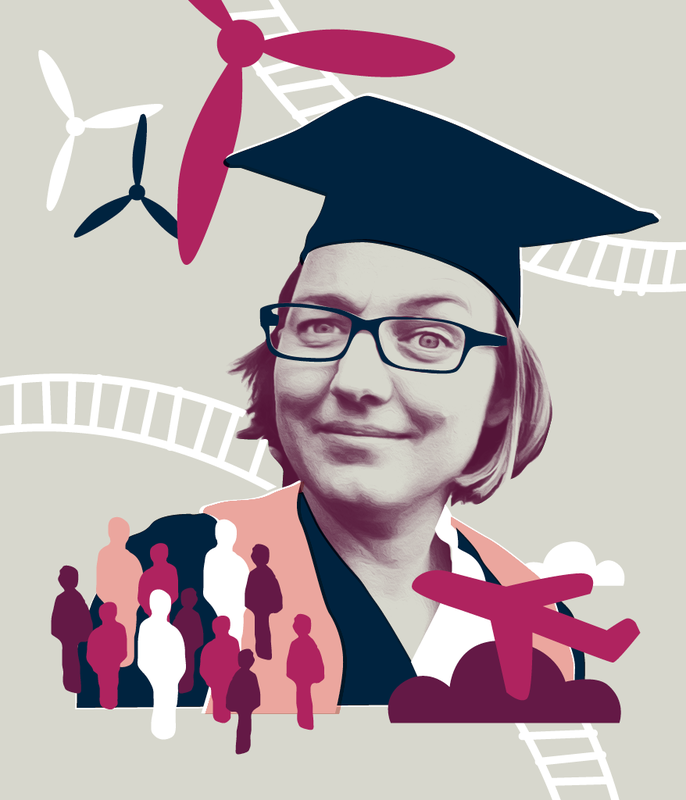 For example, Henrike was able to apply and develop her expertise in wind power in Hamburg with what she gathered at energy management in Portugal and is currently expanding in the UK. Henrike Diers is Director in Supply Chain Management for Mobility and is a member of the Management Team. She is based in Bristol, UK. Find out more about working at Siemens. Henrike is a Future Maker — one of the 380,000 talented people working with us to shape the future.